Candace is torn between two parallel worlds dictated by two major influences; her dead mother’s diary directed world and the other dictated by her friends, the twins. The diary points her towards a life of hatred, vengeance and near hermitage while the twins bring craziness and the allure of contemporary life. Somehow, Candace must make a decision on what values she wants to really pursue; loyalty to her mother’s past or loyalty to her present. 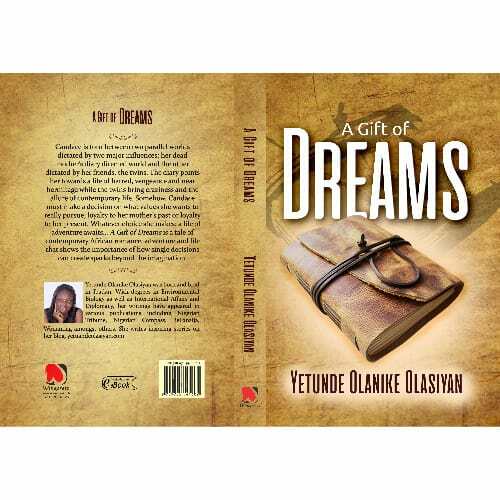 Whatever choice she makes; a life of adventure awaits… A Gift of Dreams is a tale of contemporary African romance, adventure and life that shows the importance of how single decisions can create sparks beyond the imagination. 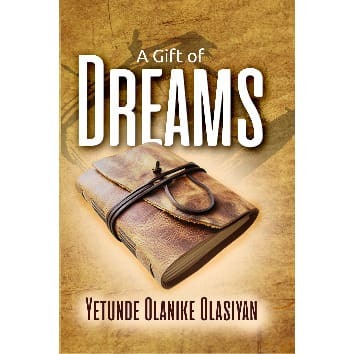 Yetunde Olanike Olasiyan was born and bred in Ibadan. With degrees in Environmental Biology as well as International Affairs and Diplomacy, her writings have appeared in various publications including Nigerian Tribune, Nigerian Compass, Bellanaija, Woman.ng amongst others.